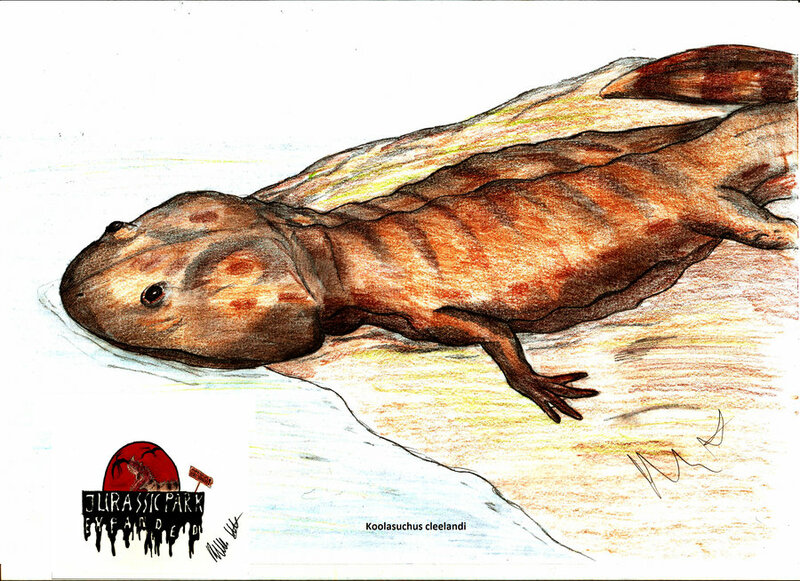 Koolasuchus is an amphibian which lived approximately 110-100 million years ago during the middle Cretaceous period. It was initially discovered by Leslie Kool and Mike Cleeland in Inverloch, Victoria, Australia in April of 1990. 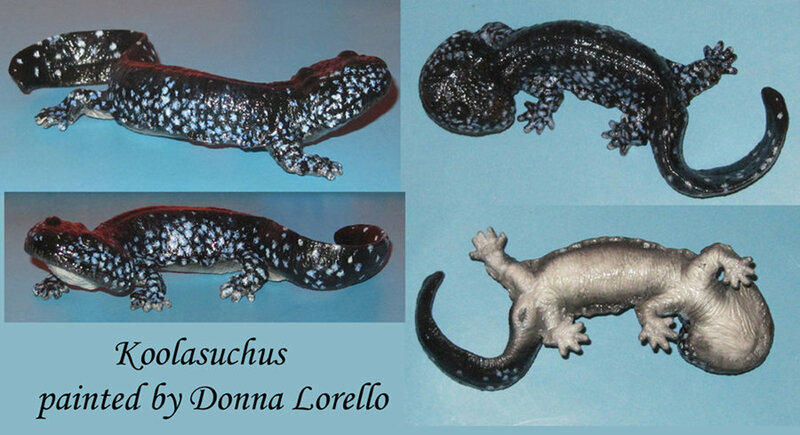 Koolasuchus was named in 1997 after Leslie Kool. 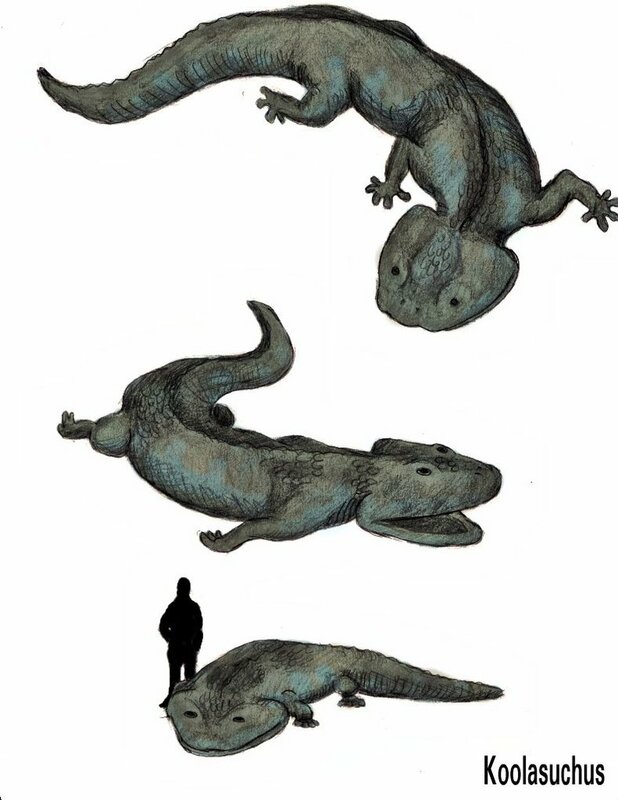 If you look at Koolasuchus pictures, you’ll see a creature which looks like a long, cute amphibian with a flat head. And it is often drawn to look quite small. However, it was actually much bigger than what it looks like in today’s images. 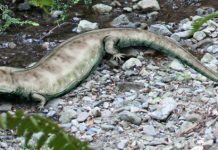 It was about 15 feet long with a 26-inch long skull and it weighed at least 500 pounds – not exactly a small and cute amphibian. 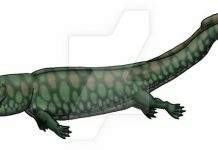 One of the fascinating facts about Koolasuchus is the fact that it was like a cool-water alligator. The area in which it lived – Southern Australia – was located below the Antarctic Circle at the time. Which means that the climate of this area was a lot cooler than other parts of the world during this time. And that might have contributed to it outliving members of its species by over a 100 million years. That’s because it might have been able to hibernate and therefore avoid predators. 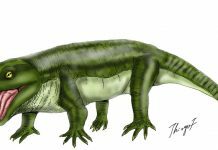 Although Koolasuchus wasn’t an alligator, it most likely lived like one. 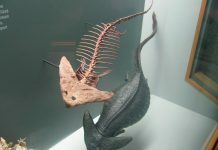 Paleontologists believe that it might have hunted like an alligator through some of the freshwater rivers in its area. This would have allowed it to feed off of fish and shellfish. The climate that once had kept it thriving for so long, is also believed to have been what brought it down. Scientists believe that once the climate in the area began to warm, then crocodiles were able to move into the area. 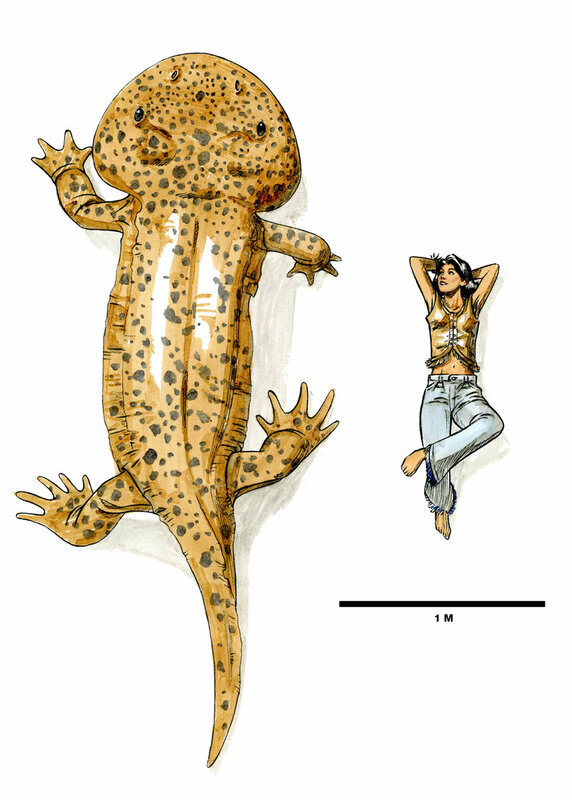 Crocodiles would have probably been better at hunting fish and shellfish than Koolasuchus. 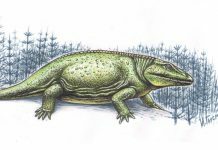 Crocodiles would have therefore out-competed them and this would eventually lead to Koolasuchus’s extinction.